This single hole paper punch is a great time saver. 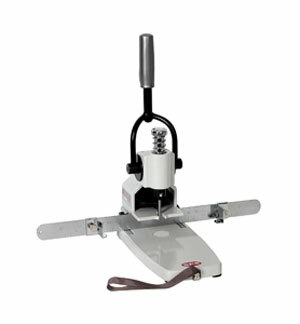 The unit can punch approximately 300 sheets of 20lb paper at a time. The FP-1 is great when one or two holes are needed. The FP-1 offers a back stop guide. This paper punch comes with a 1/4'' paper punch bit included. This paper punch can handle 3/16'' 1/4'' and 5/16'' paper punch bits.